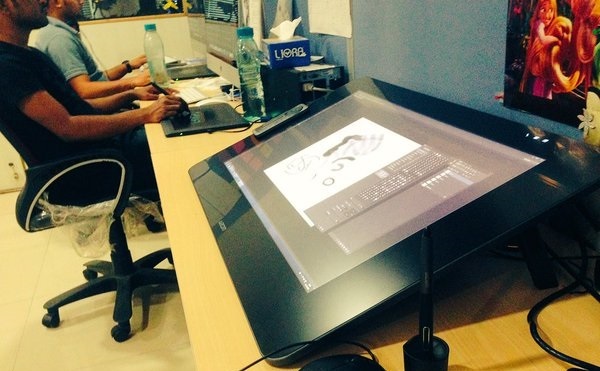 The Wacom Cintiq 27QHD has been an integral part of our production process for almost a year now. A model designed to replace the Wacom Cintiq 24HD, here we draw a comparison while listing the possibilities of the device. The 27QHD looks very classy, with an all-glass interface with none of the clutter that was there on the 24HD. The Cintiq 27QHD is definitely an improvement on the specs of the preceding Cintiq 24HD. For beginners, the display is, as suggested by the name, 27 inches diagonal as compared to 24 inches of its predecessor. Despite its larger display, the dimensions of the setup are pretty much the same as the 24HD. This newer model has done away with the built-in physical keys on the side panel of the device itself. Instead, it now has a nifty remote with 17 customizable ExpressKeys. Magnets allow the remote to be placed anywhere on the side panels. The display resolution is also a major upgrade with a QHD 2560×1440, as compared to the previous, HD 1920 x 1200. The Aspect Ratio has also been slightly tweaked. It now stands at 16:9 instead of 16:10 which gives a sleeker, wider look. The touch can be activated with the touch on/off button on the top right corner of the screen. The only issue with the touch option is that the pan and pinch zoom options don’t work while drawing when being used as the secondary screen, impeding an otherwise smooth workflow. The side panels are also useful as a support for your drawing hand while drawing on the edges. The device comes with 5 USB ports: 2 on each side, plus one additional for the ExpressKey Remote dongle and an HDMI port. The Cintiq 27QHD has a pretty good colour performance. Even though you may need to do a colour calibration according to your preferences but it seems to have a good colour performance straight-out-of-the-box. Considering the steep price and the features of this device, we think it is not over the top pricing (it is actually cheaper than the 24HD). 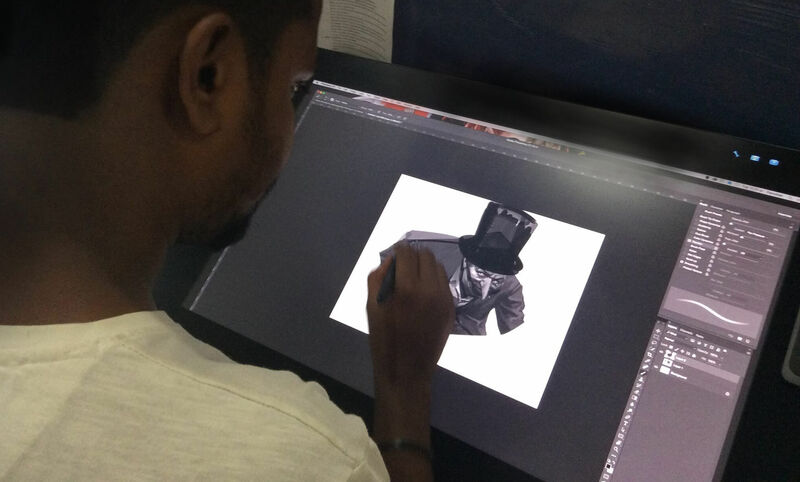 The Cintiq 27QHD is a striking piece of professional kit. Although, a stand may be necessary to buy if you don’t already have a set-up ready. Overall, this a kind of device that immediately brings excitement to your work. We look forward to future models which we are sure will take care of the few bugs in this model.